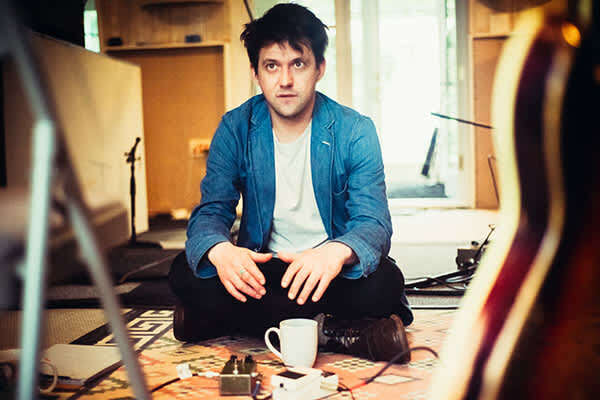 Conor Oberst joined his first band at the age of 13 and has been releasing music since 1993. Over the next two decades, he’s released cassette-only recordings, split 7-inches, and a dozen albums of uncommon insight, detail, and political awareness with his band Bright Eyes, under his own name, as a member of Desaparecidos, as leader of the The Mystic Valley Band, and with the Monsters of Folk supergroup. Conor Oberst will release a new album, Salutations, on Nonesuch Records, on March 17, 2017. The album is a companion piece to 2016’s Ruminations. When Oberst wrote and recorded the songs on Ruminations, entirely solo – with just voice, piano, guitar and harmonica – he intended to ultimately record them with a full band. In the midst of putting together that band – upstate New York’s The Felice Brothers plus the legendary drummer Jim Keltner – the passionate responses Oberst was getting to those first solo recordings, from friends and colleagues, encouraged him to release the songs as-is, in their original sparse form, as his seventh solo album: Ruminations, which was released in October 2016.